Sports cars aren’t reserved for a very exclusive grouping of car buyers. Rather, anyone can appreciate all of the capabilities and amenities that these particular vehicles provide. This is especially true if these buyers are eyeing the 2019 Chevrolet Corvette Grand Sport, as the vehicle proves to be a whole lot more than a sports car. Predictably, the vehicle’s performance is truly top-notch, as the accompanying engine specs basically go unrivaled. However, customers will also be enticed by the other amenities that the vehicle provides to drivers, including technology, safety, and exterior choices. Check out all of these advantages for yourself, and you’ll understand why the 2019 Chevy Corvette Grand Sport should be atop your list of targets. Then, once you’ve established that the 2019 Chevy Corvette Grand Sport is indeed a logical target, see why you should be making that purchase from Carl Black Nashville. While Chevy includes a number of desirable amenities and features inside of their Corvette, the nameplate will always be known for one particular attribute: performance. That will be the case once again when it comes to the 2019 Chevy Corvette Grand Sport, as the vehicle’s engine offering delivers the unmatched power specs that you’ve come to expect from the vehicle. The 6.2-liter V8 engine is more than a hulking system. Rather, the unit directly contributes to the Corvette’s unmatched performance. The system is ultimately capable of delivering an otherworldly 460 horsepower and 465 pound-feet of torque, and these numbers end up having a vicarious impact on other performance numbers. Specifically, drivers will enjoy a practically-unmatched 3.6-second 0-to-60 mile per hour time, meaning the Corvette will be as ready for the race track as it will be for the highway. Of course, the brand added a number of additional amenities that will make the sporty racer incredibly easy to control. For instance, the Brembo two-piece steel rotors provide the vehicle with optimal traction, especially in “extreme” driving conditions. The Magnetic Selective Ride Control keeps your vehicle firmly planted on the ground, assuring that you’ll remain in control of your ride at all times. There’s even the Z07 Performance Package, which delivers optimal handling thanks to the array of accompanying features (including Michelin Pilot Sport Cup 2 ZP tires). To top it all off, drivers can pick the gear that best fits their wants and needs via the pair of available transmission options: the seven-speed manual transmission (with Active Rev Match technology) or the eight-speed paddle-shift automatic transmission. Finally, the Driver Mode Select allows the driver to choose from a variety of different driving modes (including Weather, Eco, Tour, Sport, and Track) to accommodate the upcoming road conditions. You may be questioning your ability to control such a powerful sports car. However, considering all of the driver-centric amenities that are included in the 2019 Chevy Corvette, you’ll be more than prepared for your impending journey. Now, we don’t want you to think the Chevy Corvette provides performance and nothing else. Rather, engineers clearly focused on providing a number of technological amenities to their 2019 sports car, assuring that drivers can anticipate an optimal driving experience. It starts with the Chevrolet Infotainment System, which allows drivers to access their preferred applications via the intuitive touch-screen display (they can also hide their wallet and phone thanks to the hidden storage compartment located behind the unit). Plus, thanks to the inclusion of Apple CarPlay and Android Auto compatibility, drivers can also connect their smartphone to the unit. That way, they can listen to their favorite playlists, make phone calls, or send text messages without completely compromising safety. If drivers prefer, they can also rely on the audio input jack and the Bluetooth 3.0 wireless technology in order to stream their favorite tunes. Speaking of music, you should consider opting for the incredible Premium Bose audio system, which provides all occupants with a one-of-a-kind listening experience. If you tend to jam out to your favorite tunes, then you should also consider opting for the SiriusXM Satellite Radio, which provides (what seems like) unlimited options via the hundreds of available channels. The 4G LTE Wi-Fi is for those who are required to complete work while they’re on the road, as the system will provide all of your occupants with a strong wireless internet connection. Finally, the Reconfigurable Instrument Cluster will be particularly appreciated by the driver, as they can customize the cleverly-placed system to display the information that they find most important. Sure, the 2019 Chevy Corvette Grand Sport might not necessarily be known for its technology… but it probably should be. Before long, this attribute will surely rival the nameplate’s performance. We know what you’re thinking: there’s no way you’re going to be able to control such a powerful vehicle like the 2019 Chevy Corvette Grand Sport. At the very least, your safety would be slightly compromised due to your inexperience controlling this kind of vehicle. Well, to be clear, this absolutely isn’t the case when it comes to this sporty ride. That’s because Chevy’s engineers did an incredible job of equipping their vehicle with an array of safety functions that will keep every occupant safe and secure. Many of these amenities specifically help drivers avoid accidents from occurring altogether. The Active Handling allows drivers to maintain control of their vehicle at all times, while the Traction Control system assures that your vehicle is always maintaining a proper grip of the road. Inclusions like the four-wheel antilock brakes will assure that you’ll have optimal stopping power, while the Bi-Xenon headlights promise that every other driver will be aware of your presence on the road. If you do land in an accident, the 2019 Chevy Corvette Grand Sport will do everything in its power to keep you and your passengers safe and secure. The “light aluminum space frame” will provide drivers with optimal protection, assuring that the vehicle doesn’t compromise due to a collision. Meanwhile, the comprehensive airbag system provides every occupant with the necessary amount of cushion. The vehicle can even be equipped with the OnStar Automatic Crash Response system. A simple click of a button can summon emergency personnel directly to the site of the crash. Sure, the 2019 Chevy Corvette Grand Sport may be a bit more powerful than you’re used to. However, thanks to the array of safety functions, drivers can relax knowing that they’re always in the best of hands. If you’re going to be dishing out a pretty penny on a sports car, you’ll surely want the vehicle to be one-of-a-kind. Well, that will be possible when you opt for the 2019 Chevy Corvette Grand Sport, as the brand provides customers with a number of opportunities to personalize their new ride. We’re sure you want to make your brand-new 2019 Chevy Corvette Grand Sport your very own. Well, that will certainly be possible thanks to the array of choices available in this year’s nameplate. 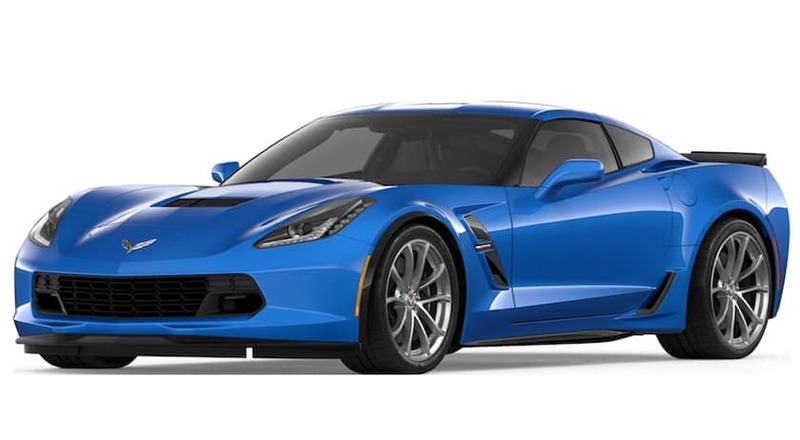 It’s pretty clear that the incredible 2019 Chevy Corvette Grand Sport is the perfect choice, even if you weren’t envisioning yourself driving around in a sports car. Well, now that that’s been established, it’s time to make your purchase. 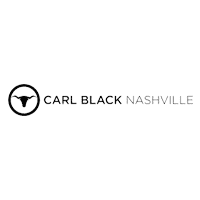 If you live in the Nashville, Tennessee area, there’s no better place to visit than Carl Black Nashville. We promise competitive pricing and a vast inventory, but drivers will mostly be enamored by the array of services. For instance, the service department can fix up your vehicle to tip-top shape, while the finance department ensures that you’ll never be committing to a poor payment plan. Plus, the flexible hours means you’ll always have a chance to visit the premises. And thanks to the easy-to-find location, you won’t drive around aimlessly attempting to find the business. Instead, your time can strictly be used on your impending purchase. So what are you waiting for? If you’re ready to purchase a new sports car, then you should head out to Carl Black Nashville today! Who knows, maybe you’ll be cruising off the lot in a brand-new sports car.